In I Am a Soldier, Too, Bragg lets Jessica Lynch tell the story of her capture in the Iraq War in her own words--not the sensationalized ones of the media's initial reports. Here we see how a humble rural upbringing leads to a stint in the military, one of the most exciting job options for a young person in Palestine, West Virginia. We see the real story behind the ambush in the Iraqi Desert that led to Lynch's capture. 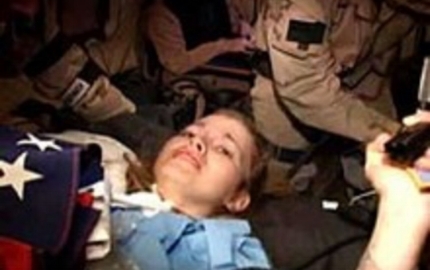 And we gain new perspective on her rescue from an Iraqi hospital where she had been receiving care. Here Lynch’s true heroism and above all, modesty, is allowed to emerge, as we're shown how she managed her physical recovery from her debilitating wounds and contended with the misinformation--both deliberate and unintended--surrounding her highly publicized rescue. In the end, what we see is a uniquely American story of courage and true heroism.